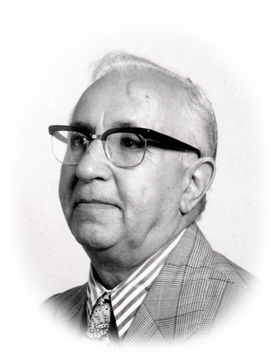 The founder of the Farahbakhsh establishment was Mr. Hossein Novin Farahbakhsh who was born in 1903 into a family of artists and painters. His father, a Persian carpet designer, died when Hossein was about 10. His and his older brother’s guardianships were handed over to their uncle. Hossein’s interest in stamps started at a very early age when he would save used examples of Muzaffar al-Din Shah and Mohammad Ali Shah stamps in tiny match boxes. With the encouragement of his mother who noticed a talent and interest in young Hossein about graphical arts, he began his artistic education with a local master of miniature painting. In 1919, Mr. Hossein N. Farahbakhsh opened his own atelier near the main bazaar of Tehran. It was about that time that he got encouraged by a neighbor, who was incidentally in the philatelic trade, to put together a collection of stamps. This move proved to be the start of a lifetime passion. He married in 1925 and left to live in Recht a year later when his first son H. Farahbaksh was born. There, he purchased a collection of Mirza Kuchik Khan revolutionary stamps which he sold in Tehran a year later with a handsome profit. As of 1926, Mr. Hossein Novin Farahbakhsh established himself as a tradesman in philately, procuring bulk lots of posted letter covers and selling the used stamps on them. Meanwhile, he continued working with his older brother drawing rug designs. In 1929, Mr. Farahbakhsh decided to open a shop dedicated to the philatelic hobby; a place where major collectors of the time would frequent and trade stamps with him. He began enthusiastically to encourage the youth into this magnificent hobby too. After moving to another premises, students of the nearby technical college would flock his shop and spend hours with him. Some of the most prominent Iranian philatelists like Mr. E. Josef, J. Sharifian, and Mr. Y. Behboud Chaichi emerged from that period. He also began trading stamps with foreign countries. It was about 1935, that the first illustrated albums to contain Iranian stamps where produced by Hossein N. Farahbakhsh. Each page of the album had specifically allocated areas where stamps could be mounted using hinge papers. The release of this kind of a stamp album increasingly encouraged the public to collect Iranian stamps in a broad and orderly manner. Mr. Farahbakhsh’s eldest sons, Houshang and Farhang joined him in expanding their business by opening a new shop in 1944. 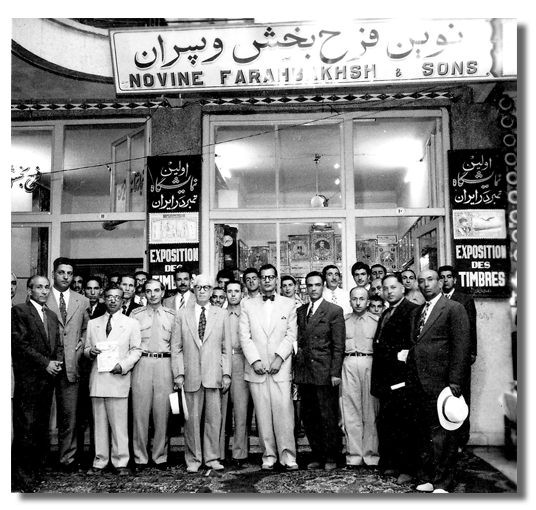 A few years later, in 1950, Mr. Hossein N. Farahbakhsh celebrated the inauguration of a unique philatelic store where prominent collectors as well as the representative of the prime minister of the time were present. It was about the same period when he initiated Iran’s first stamps monthly magazine. In 1957, Mr. Houshang Farahbaksh, introduced the new hingeless format of illustrated stamp album pages. Shortly after that, Mr. Feridoun N. Farahbakhsh, senior’s third son entered the scene by overtaking the business from his two older brothers. With the arrival of the young Mr. F. N. Farahbakhsh into the trade, a new wave of activities was introduced into the Farahbakhsh philatelic establishment. During a visit to the World Stamps Exhibition in London in 1960, Mr. Feridoun and Mr. Hossein Farahbakhsh explored and revered the works of Dr. M. Dadkhah on early Lion Stamps of Persia. At that exhibition, the young Mr. Farahbakhsh vowed to dedicate himself to promoting the Iranian philately on the national as well as international level. Shortly after the event, in 1961, Mr. F. N. Farahbakhsh published the priced catalogue on the stamps of Iran. The publication of the catalogue helped regulate the philatelic market where the lack of a reliable and widely accepted guidebook was strongly felt. Ever since 1961, the catalogue of “Stamps of Iran” has been available to Iranian stamps lovers annually. The activities of Mr. Hossein N. Farahbakhsh gradually diminished and following his father’s desire, Mr. Feridoun took more responsibilities of the establishment. He took over the publication of the illustrated album pages and following the favorable growth of stamp collecting, he opened up a new store in 1968 at the current location on Vali-Asr Ave. A year later, Mr. F. N. Farahbakhsh participated in a series of television programs aimed at promoting the stamps of Iran. 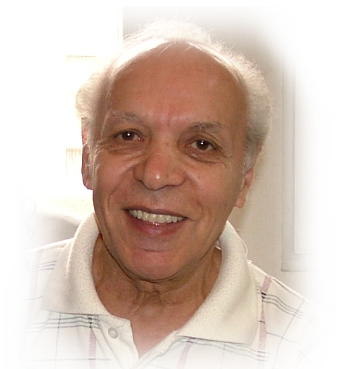 Mr. F. N. Farahbakhsh published of a number of books and catalogues that further helped increase interest and knowledge on various philatelic subjects. 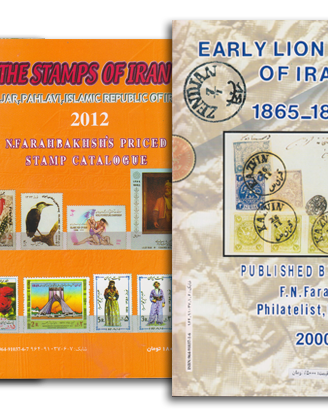 “The Early Postmarks of Iran” in 1991, “The Lion Stamps of Iran” in 2000, and “The Postal Stationery of Iran” in 2002 are some examples of his valuable contribution to the Iranian philately. 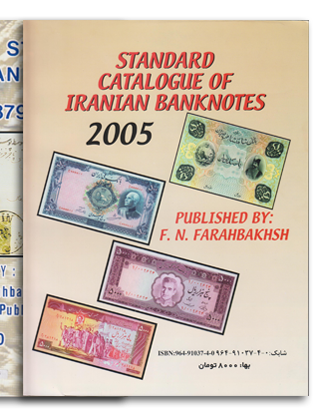 Moreover, N. Farahbakhsh annual catalogue of “The Banknotes of Iran” has established itself as the de facto guidebook for every banknotes collector since 1980. 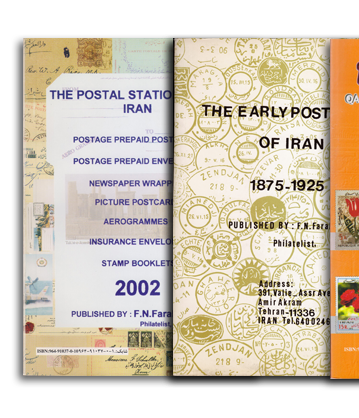 As the president of the Philatelic Society of Iran for over 20 years, Mr. Farahbakhsh directed the publication of the society’s newsletter, enriching it with numerous articles on Iranian philately. Many of the items depicted in the newsletter issues were selected from his own private collection. The Farahbakhsh Stamps Establishment is currently managed by Mr. Massoud N. Farahbakhsh who took over after his father’s passing away in 2012.